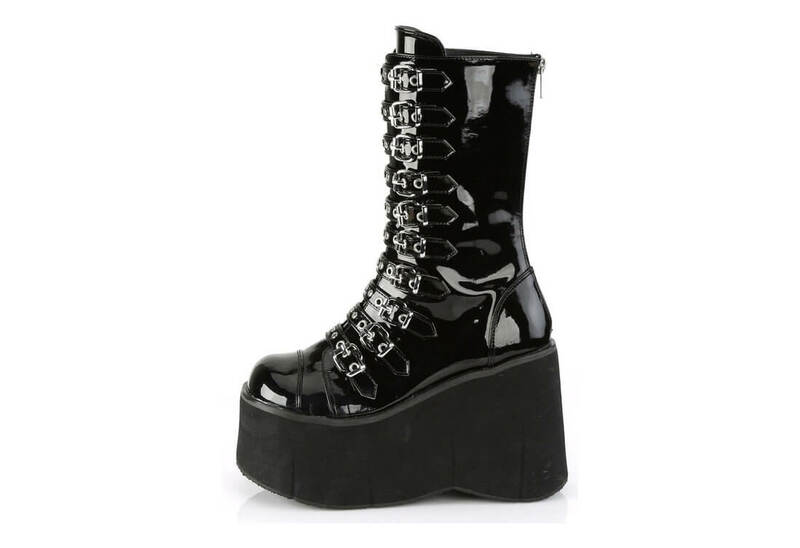 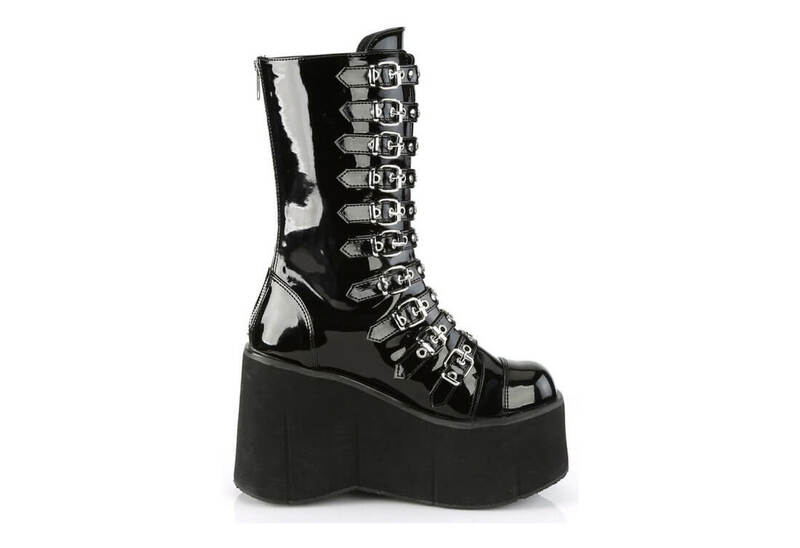 These amazing shinny boots have a 4 1/2 platform with double buckle straps up the front. 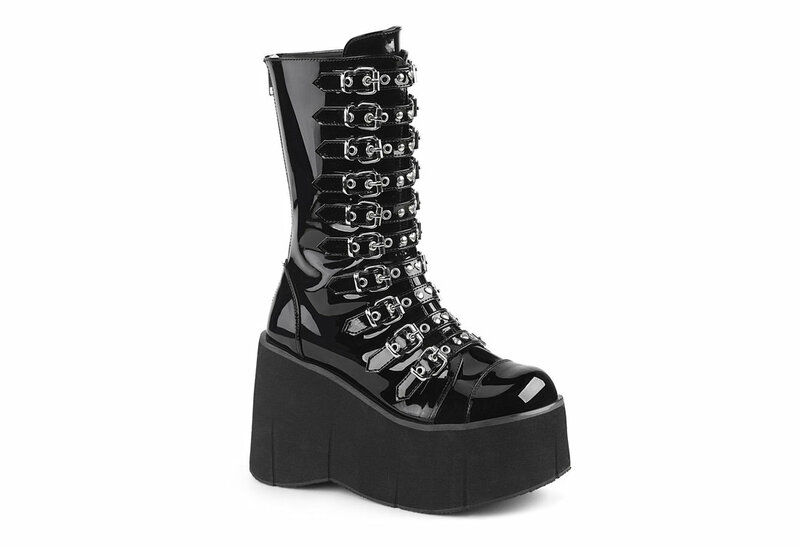 Each strap has round and heart studs on them with buckles on each side. 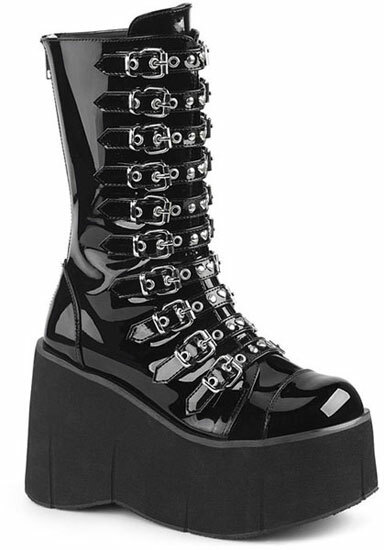 The back of boots have a metal zipper closure making them a cinch to take on and off.